In a private discussion group I'm part of, a thread today involved the recent Jedi's Path: A Game of Life game. The issue was that the spinner in the game apparently doesn't work very well-- so much so that one of the game's own designers handed out ten-sided dice to his kids when he tried it recently. The spinner is The Game of Life. I'm 40. I haven't played Life in over 30 years. But I can still vividly hear the whizzzzzzzzzzzzzzzzzzzzzz of that spinner. It's a sound of visceral joy. Grabbing hold of that white knob, giving it a hearty twirl, listening to that sound and watching the wheel come to rest with a gentle bounce of the flap between two posts was the only reason to play the game. I loved getting my hands on that thing. It is the shining exemplar of all game spinners. That one simple hunk of plastic sustained the entire game experience. How could they possibly have gotten that wrong? But that got me to wondering about other experiences we enjoy not for the experience itself, but for some subsidiary component. Have you ever gone to see a movie just so you could get a bucket of popcorn? Bought a box of cereal to get at the prize on the bottom? Gone to a major sporting event just to be part of the energy of the crowd, without caring about the event itself? Do you hate fruity drinks, but love those little cocktail umbrellas? What other experiences are appealing more for a side attraction than the main event? If you've wandered the food isles at Costco lately, you may have noticed that Martha Stewart's foot soldiers have made landfall and established a beachhead. A new line of food products featuring the domestic diva is scattered throughout the store. If the two that I sampled are any indication-- and I say this begrudgingly-- they are well worth your attention. The pork meatballs are redolent with lemongrass, ginger, and cilantro. Don't let the habanero scare you away-- c'mon, this is Martha "Mainstream" Stewart-- its kick is restrained and appropriate. These are meatballs that stand alone as appetizers-- no sauce required. You'll just keep popping them into your mouth until they're gone. I like a good pot pie. The problem is that good pot pies are extremely difficult to find in the freezer aisle. Forget the normal supermarket-- Swanson, Marie Callender, Claim Jumper-- all horrid. For years my go-to pie has been the Trader Joe's turkey pot pie, but that item appears to have been discontinued. Their chicken pot pie isn't nearly as good, with the chicken looking like it came from a can. So when I recommend Martha Stewart's Chicken Slab Pie, it's with some measure of authority on the subject. The product feels expensive at $10 for two 16 oz, pies, but it's worth every penny. The flavors are complex and rich, with bright herbal notes foreign to other pot pies. The crust is flaky and spot-on, the chicken moist and tender. If you were served this slab pie at a cozy bistro, you might never suspect it was a frozen entree. I throw some sweet potato fries (also from Costco, but not Martha) on the baking sheet for some extra starchy goodness, but few people's appetites are as robust as mine. 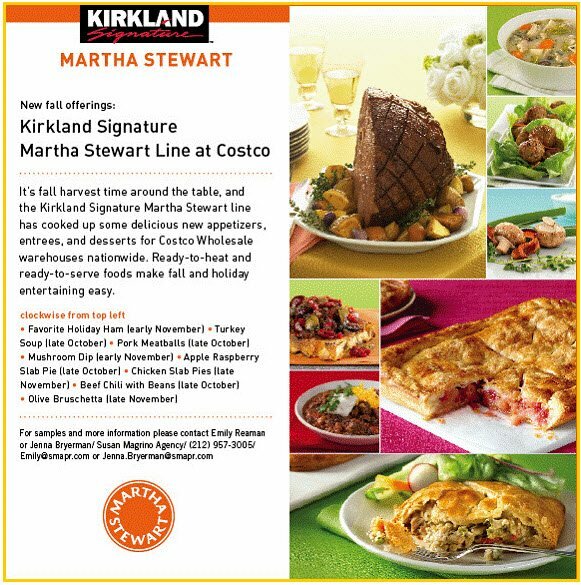 Among the other items in Martha's Costco line are an apple-raspberry slab pie I intend to try, having read good things about it on the interwebs. The next time you're in the warehouse giant, help an ex-con out in these trying economic times and toss a few of her offerings into your cart. Yeah, it's Martha Stewart. But at least it's not Rachel Ray. I'll grant you, I was predisposed to like Slumdog Millionaire on the basis of its subject matter-- an uneducated man from the slums of Mumbai goes for the top prize on India's edition of Who Wants to Be a Millionaire?. I doubt the rest of the theater was filled with former game show contestants, however, and the spontaneous applause at the film's conclusion proved that the film was well received all around. The film wastes no time getting directly to the story. Jamal has already gotten 14 questions correct, with only the final question standing between him and the top prize. But how could an ignorant, uneducated "slumdog" like him get all the answers correct, when so many more educated people repeatedly fail? He's accused of cheating, and the police torture him to try to extract a confession. Instead, as the investigating officer replays Jamal's appearance on the show, at each question Jamal explains how his life experience taught him the answers-- often at great personal cost. Despite its obvious gimmickry, it's a marvelous framing device. The story unfolds in vignettes from Jamal's past, told against the exotic, colorful, and heartbreaking backdrop of India. The child actors are brilliant-- better, in fact, than the older actors playing their adult counterparts. You can't help but root for their indomitable spirit as they desperately seek a way to survive amidst devastating poverty, racial attacks, and human predators. But through it all, like The Princess Bride, this is a story of True Love, of one person's unwavering certainty that he and the woman he loves are destined to be together. I was utterly engrossed by this film. Some creative license was likely taken with the game show sequences-- even in India, I doubt very much that the host of the show would ever share a bathroom with a contestant-- but it has great authenticity thanks to being shot on the Millionaire set. The scenes in the hot seat are every bit as effective as those on the Ganges. This is a terrific movie. ...and we're back. I just updated Static Zombie to Movable Type 4.23, which will take some getting used to from my end. There will probably be some visible changes as well, but hopefully nothing has broken (comments should now be working).